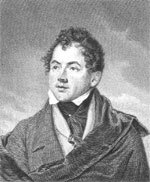 Thomas Moore (1779-1852) was the son of an Irish grocer. He was a published poet by his teens. After training as a lawyer at Trinity College, Dublin, he came to London and made the acquaintance of Byron and other important literary figures. In 1803 he went to Bermuda in an Admiralty post but soon returned via Canada, taking an interest in that country’s folk traditions on the way. His talents as a sweet-voiced singer and accomplished musician enabled him to provide words suited to Irish tunes, mainly from the eighteenth century. Many of these originally had humorous texts, but Moore furnished them with lyrics of deeper significance. These Irish Melodies, issued in instalments between 1801 and 1834, were published by William Power (who had noted the success of George Thomson’s folksong project with Burns, among others) and eventually earned the poet a good deal of money. 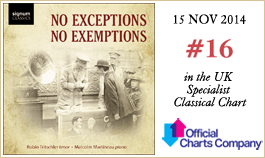 As something of a multi-national sequel, six instalments of National Melodies were issued by the same publisher between 1818 and 1828, which included the two Venetian poems set in Myrten. For his Lallah Rookh of 1817 he obtained the unheard-of advance of £3000 as well as much public approbation (even though Lady Holland said to the author ‘Mr. Moore, I have not read your Larry O’Rourke; I don’t like Irish stories’). 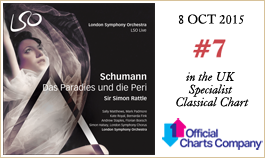 One of this sequence of orient-inspired tales was used by Schumann as the basis of his large choral work, Das Paradies und die Peri, in 1843. As a result of a financial scandal Moore temporarily fled England and lived abroad between 1818 and 1822. He was left as the custodian of Byron’s Memoirs but, together with the publisher John Murray, he burnt these in the interest of protecting Byron’s posthumous reputation. As if to compensate for this tragedy in the history of English literature, in 1830 he brought out his own life of his great friend and contemporary. He had started as a radical and a popular hero of Irish nationalists (whose cause was given a more sympathetic ear in London society as a result of the popularity of the Irish Melodies) but he died in Wiltshire, on a government pension – something of an establishment figure, and the English establishment at that. Apart from Schumann’s debt to Moore, the names of Weber, Mendelssohn, Jensen, Cornelius and Hindemith may be added to a list of composers charmed by his verse. Slightly less expected is the influence of Moore’s poems on French composers such as Berlioz and Duparc. (Berlioz’s interest in Irish culture had been awoken and inflamed by his passion for the Irish actress, Harriet Smithson.) Such was the success of Berlioz’s setting of Moore’s Irish Melodies (where the piano was given a new and important role that exceeded anything known in the archaic form of the romance) that people spoke of Berlioz’s mélodies as representing a new and special form. It is thus indirectly thanks to Moore that the correct French word for the genre of piano-accompanied art song is not ‘chanson’ (a common error of English-speaking writers who, in using this word, mistakenly refer to lighter song or cabaret), but mélodie.